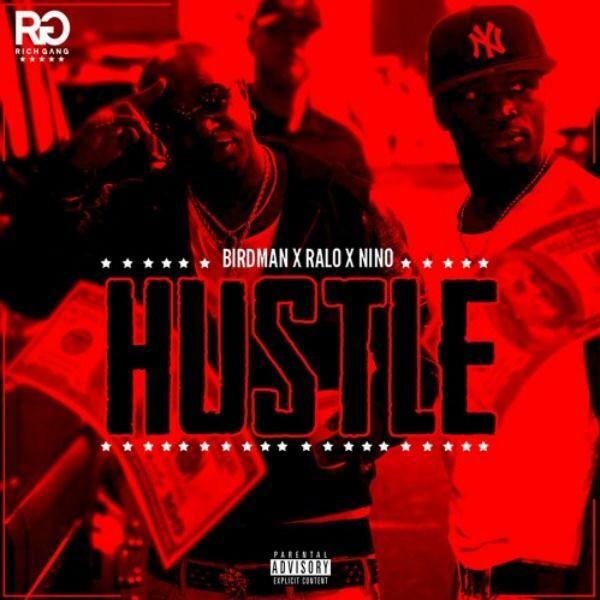 Birdman calls upon his young guns Ralo and Neno Calvin for "Hustle," a new track off the upcoming Rich Gang album. Birdman is trending everywhere right now due to his Breakfast Club interview earlier today, during which he sparred with Charlamagne and stormed out after two minutes. As his name has been in the headlines, he thought it was the right time to share the release dates for two upcoming projects, his solo album Ms. Gladys as well as the second official Rich Gang compilation, arriving June 24 and July 1 respectively. And hours later, the Eagle has decided to keep his name buzzing by sharing a new track off Rich Gang 2: The Lifestyle. "Hustle" features up-and-coming ATL rapper Ralo, who happened to accompany Bird to this morning's interview, as well as NOLA's Neno Calvin, who also guested on the Ms. Gladys title track that Bird dropped earlier this month. "Hustle" is a high-octane street track that's dedicated to Bird's unwavering support for the youngsters. Ralo seems to be Birdman's latest prospect, and he drops some of the most fiery raps of his career on "Hustle." Expect Bird, Ralo, Neno, as well as Jacquees and London on da Track to be all over Rich Gang 2.